Helen Holleman joined Nottingham Trent University as an Apprenticeship Manager for the Nottingham Business School and Nottingham Law School. Working closely with the schools, she coordinates and develops their degree apprenticeship offering, as well as liaising with businesses and professional bodies to identify future degree apprenticeship opportunities. 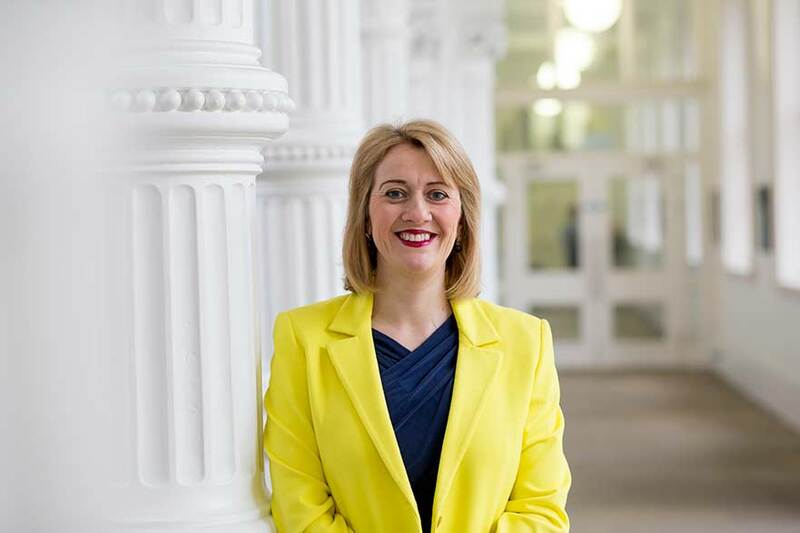 Prior to joining NTU Helen was the Academic Manager for Work-Based Learning within the Faculty of Business and Society at the University of South Wales. Her role involved extensive employer engagement with regards to a variety of work-based learning opportunities including sponsored degrees, sandwich placements and internships. She was also course leader for the Foundation Degree in Finance and the BSc (Hons) Financial Planning, Investment and Risk. She has seven years teaching experience (within both secondary and higher education) and has taught from GCSE through to Masters level. Her main areas of expertise are the development and delivery of course materials, particularly courses which have work-based learning as an integral component, course leadership, and the maintenance of key employer relationships. Prior to working in Higher Education, Helen worked for nine years in the Education Business Division of the Careers Service in Wales. Here she held various roles, including Curriculum Enhancement Coordinator, Professional Development Coordinator and Work-Focused Experience Project Leader, gaining extensive experience in work-based learning and training. Helen has also previously worked in Financial Services as Mortgage and Financial Advisor for a national building society and two major high street banks.